In Hebrew, circumcision is called Brit Milah (the covenant of circumcision). This name is based on the Biblical account of the covenant which G-d made with Abraham, that all newly born sons in future generations would be circumcised on the eighth day as a sign of their entry into the Jewish fold. Even in the face of prohibitive edicts, Jews throughout history have honored this covenant. 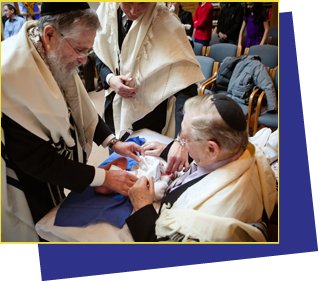 Today, the naming of baby boys also occurs at the Brit Milah. Rabbi Shimon Miara has been an expert mohel for nearly twenty years. He has conducted Brit Milah (Jewish ritual circumcision) in the greater Boston area, and throughout New England and New York.